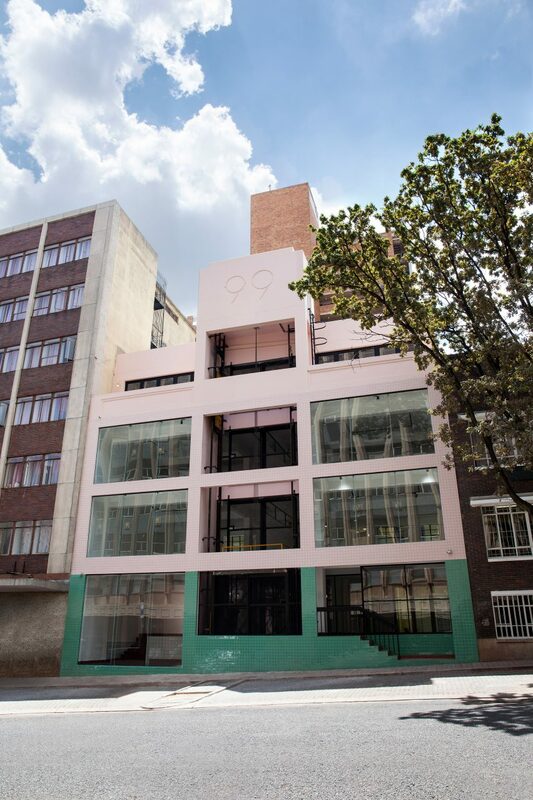 Local Studio has renovated a 1930s office building in the inner city suburb of Braamfontein to create the 99 Juta Street hub for creatives in Johannesburg, South Africa. Johannesburg-based architecture Local Studio worked with industrial design studio Dokter and Misses to renovate the former office at 99 Juta Street in Braamfontein – an area that is becoming known for its strong ethos of urban renewal and has seen a recent influx of cafes, restaurants and shops. 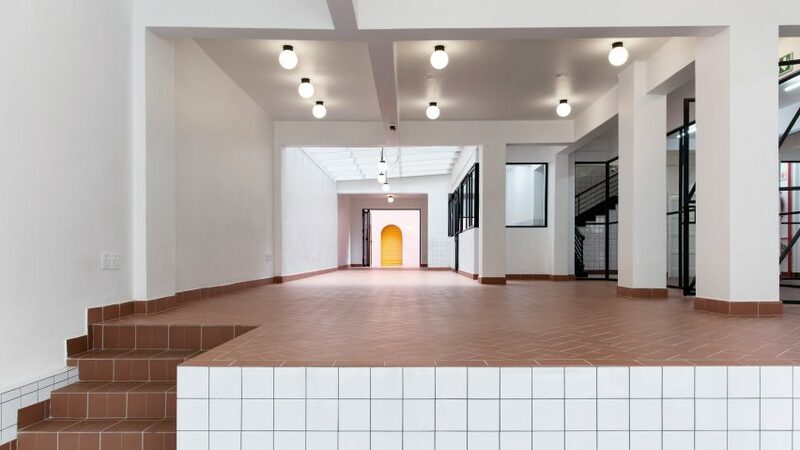 The building’s existing symmetry leant itself to the creation of four showrooms on the street-facing facade, including one for Dokter and Misses, which lead the interior design of the project. 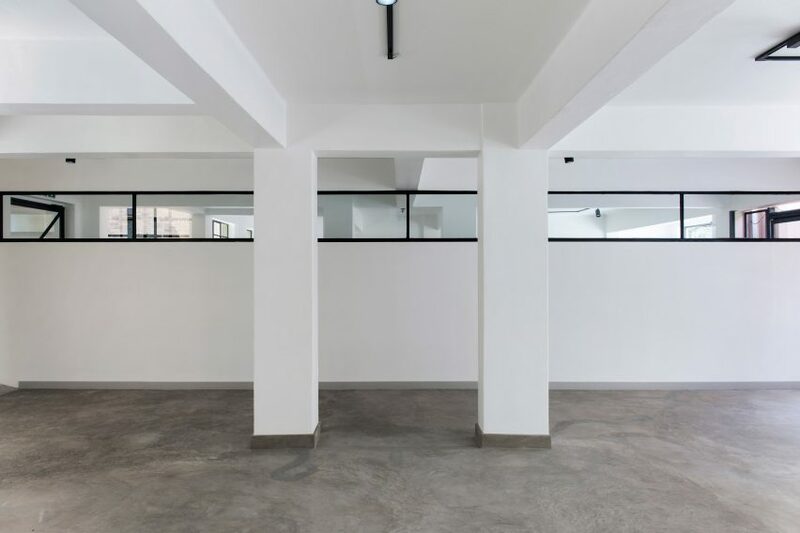 Along with Dokter and Misses and furniture designer Joe Paine the building also houses a number of pop-up spaces where designers can showcase their work for short periods of time. 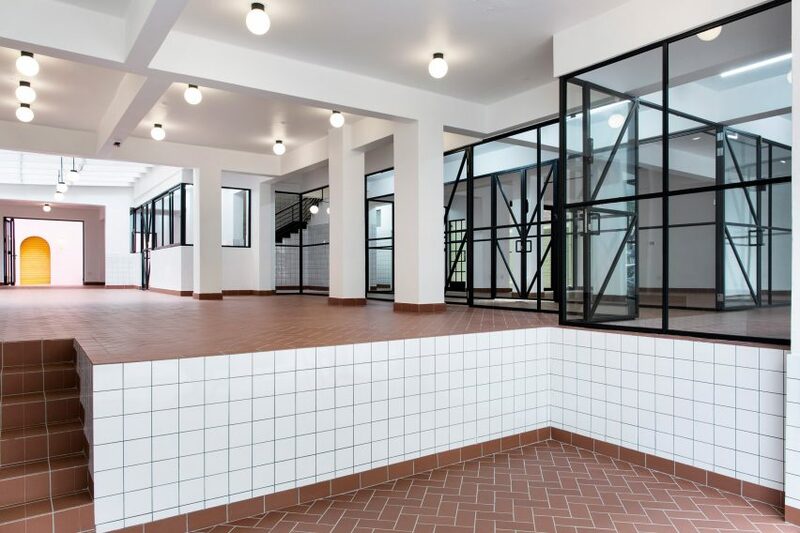 “99 Juta is a cultural building more than a retail building as it showcases the best of Johannesburg design in a part of the city that is relatively undeveloped and explored,” explained Local Studio founder Thomas Chapman. Above the studios is a large exhibition space, while a gin bar has been built on the basement floor. Dokter and Misses chose flamingo pink and emerald green tiles for the facade as the designers wanted to create a recognisable landmark that would draw in visitors from the street. 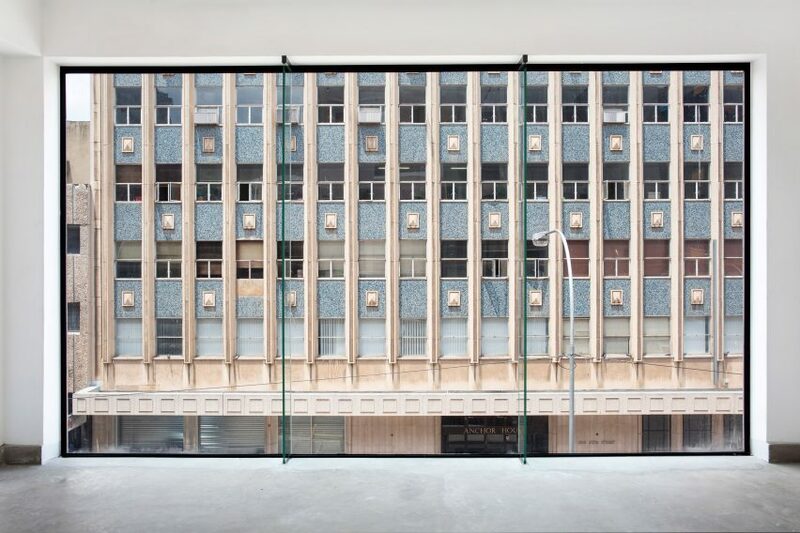 A new roof over the top floor opened up the facade facing the main street, where a goods hoist has been incorporated into the building to ensure that works of art and design can easily be moved up to the various showroom spaces. 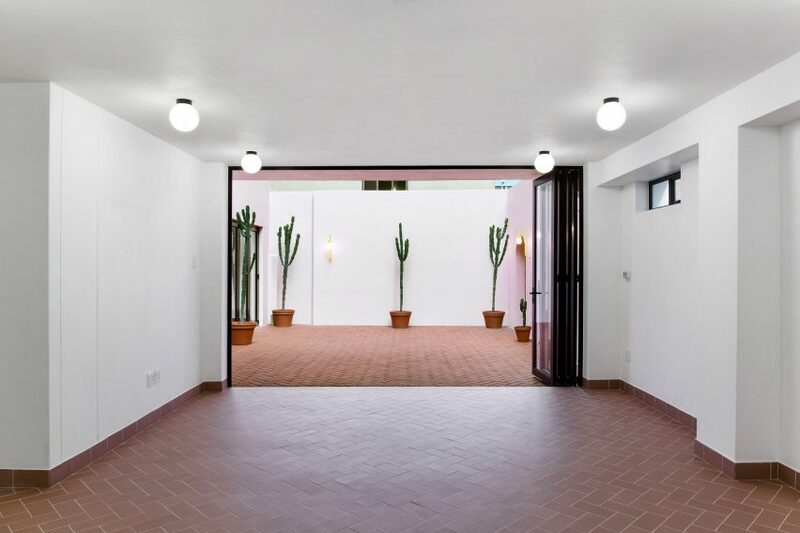 Many of the unique internal details such as lights and taps were designed by Dokter and Misses, the pink front facade and “99” logo were also the work of Dokter and Misses co-founder Katy Taplin and designer Carl Ascroft. An inner courtyard is coated in avocado green and the fire escape is ultramarine blue. 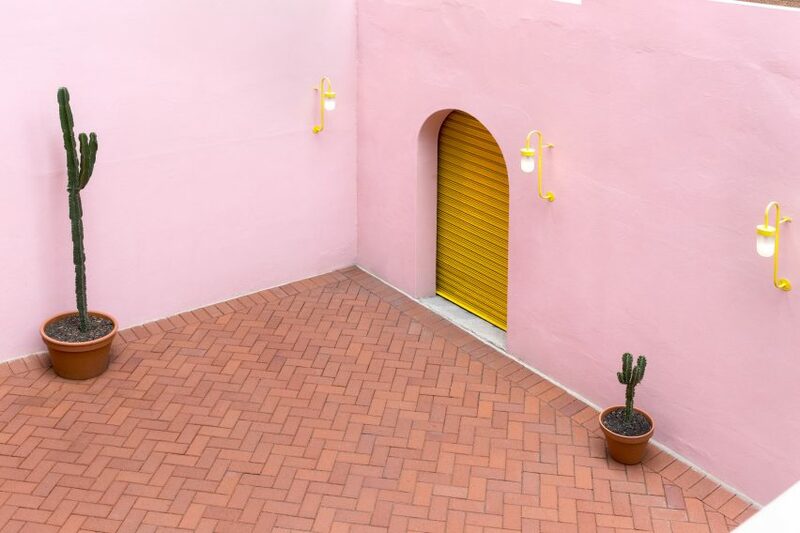 The space is finished off with bright yellow lights, terracotta bricks and candelabra trees.